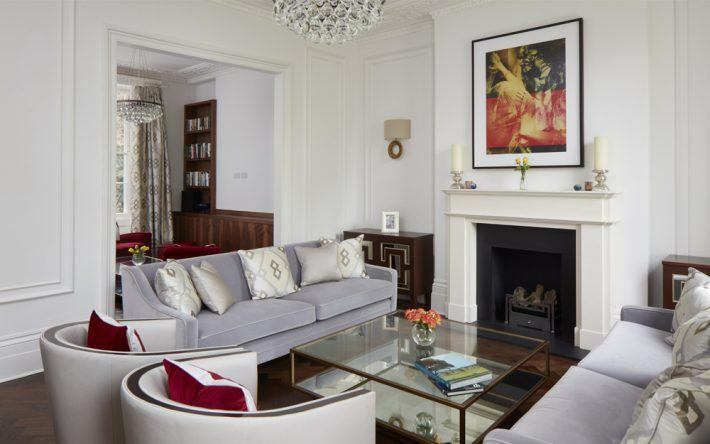 A five storey, Grade II listed townhouse located in one of Chelsea’s desirable areas. 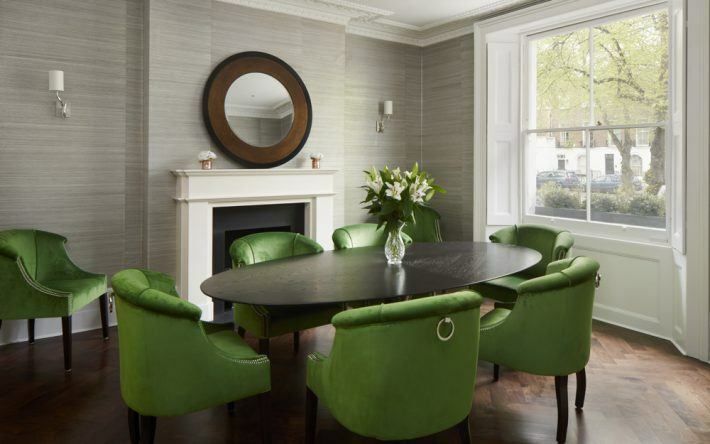 The client’s brief included the full refurbishment and re-modeling of the property to better suit their family lifestyle. 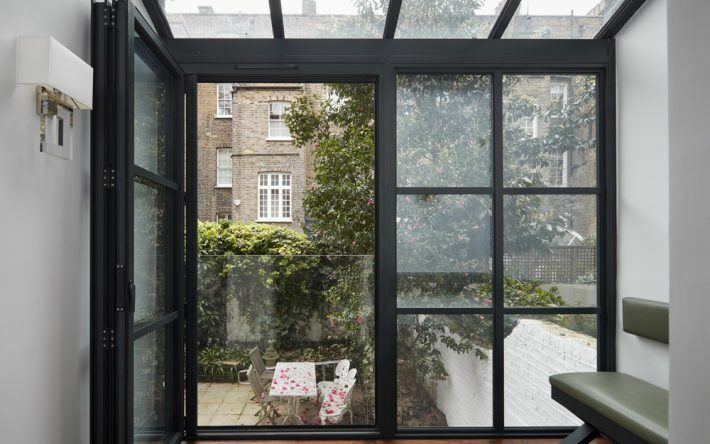 The team also designed a two storey conservatory extending from ground to lower ground floor, gaining valuable space to expand into and create a larger guest bedroom with plenty of natural light that opens up into the garden. 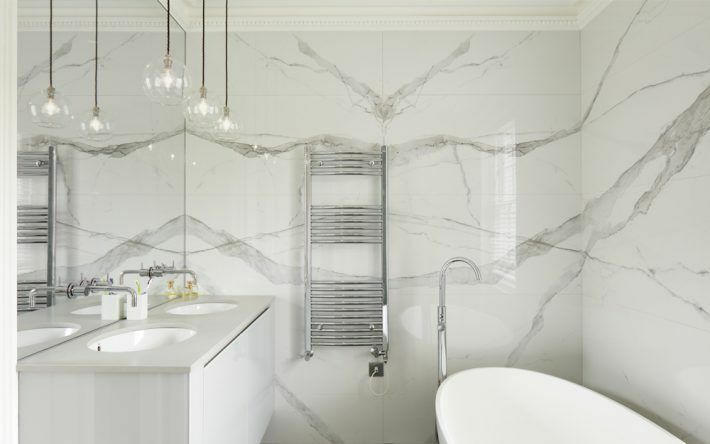 The rest of the Lower ground floor comprises a play room, a bathroom and utility room. 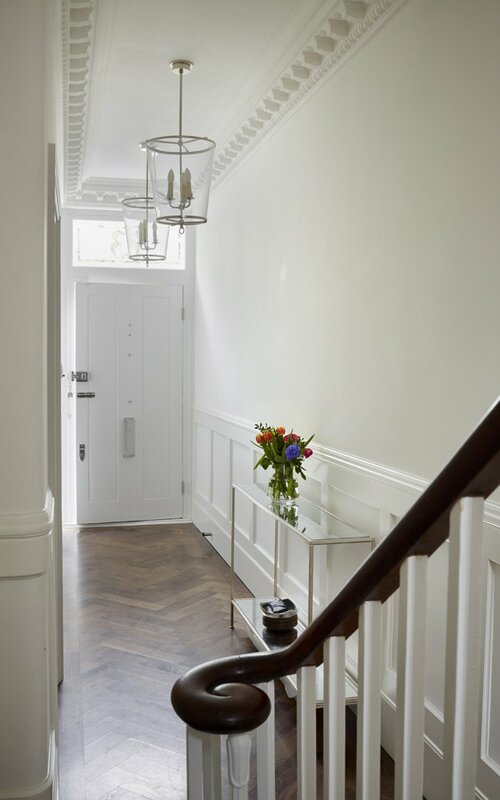 At ground floor, the entrance hallway was transformed into an elegant and bright space with the use of white wall colors, square wall panelling, carefully restored staircase, cornices and detailing. 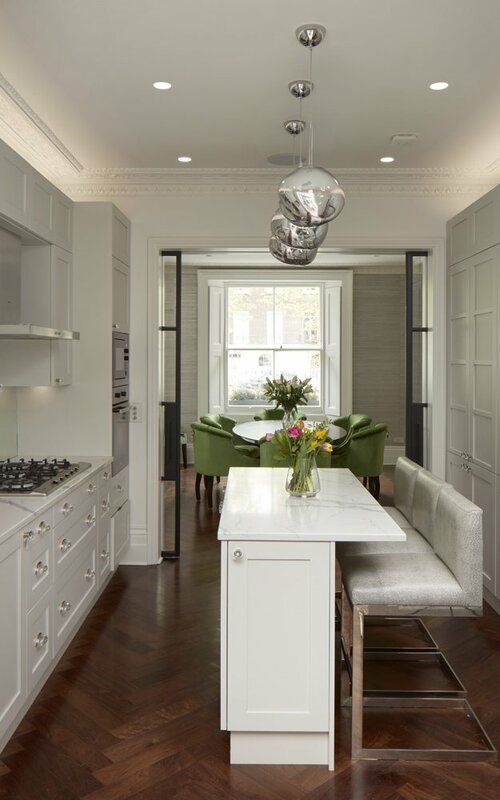 A beautiful dining room leads into a modern kitchen with bespoke cabinetary and marble worktops via a set of sliding Crittal doors. 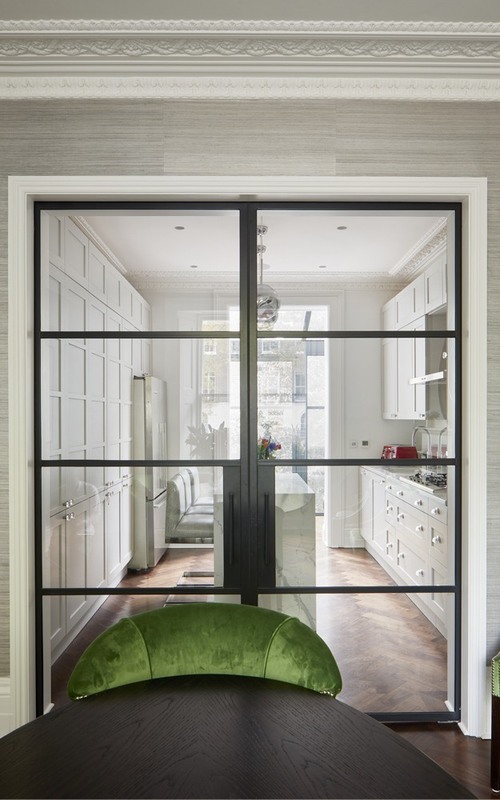 The kitchen extends further into the new conservatory, providing a charming, brightly lit breakfast nook. 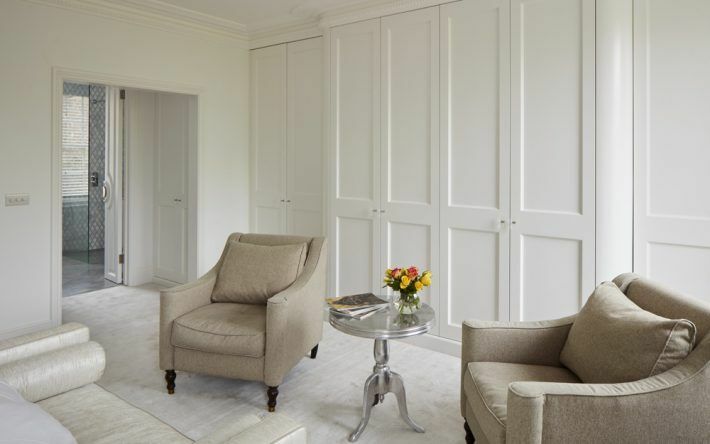 The half landings were remodeled to create a closet at ground floor and a unique guest cloakroom at the level above. 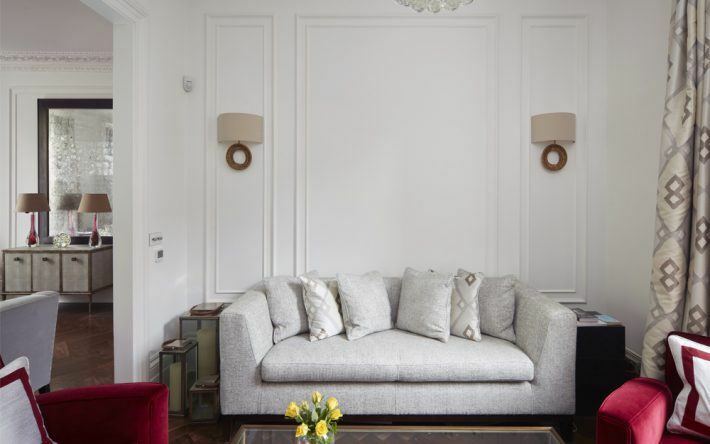 The first floor has a classic high-ceiling drawing room leading into a less formal family sitting room. 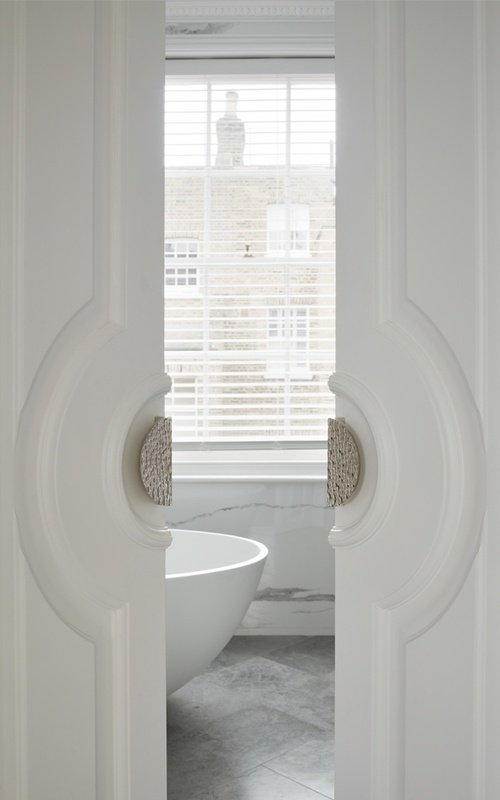 Both have been carefully designed including restored original period features such as cornices and wall panelling. 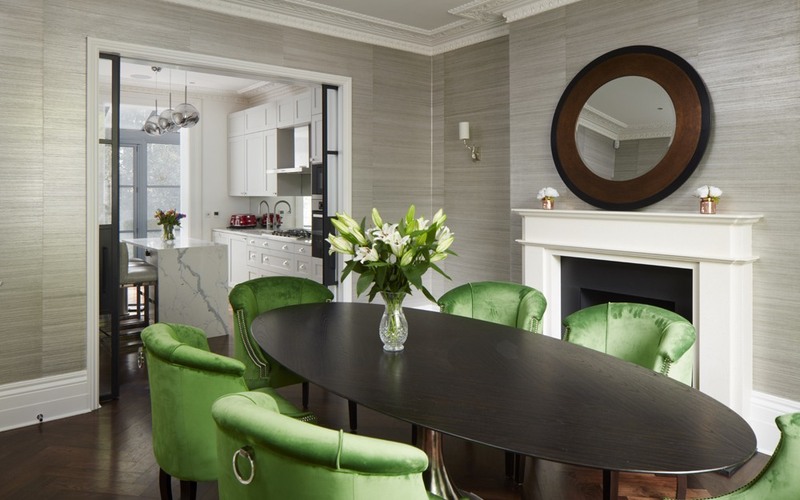 The fire places in the principal rooms were redesigned with luxury limestone surrounds and black granite. 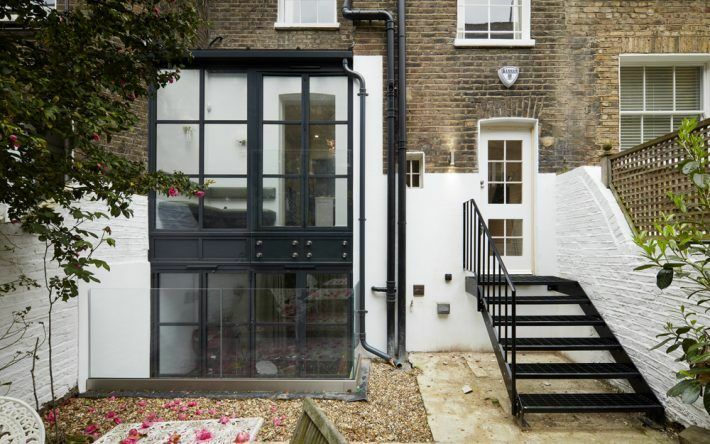 The half landing at this level was converted into a small office, with bespoke French style glass door, bringing light into the space and the landing itself. 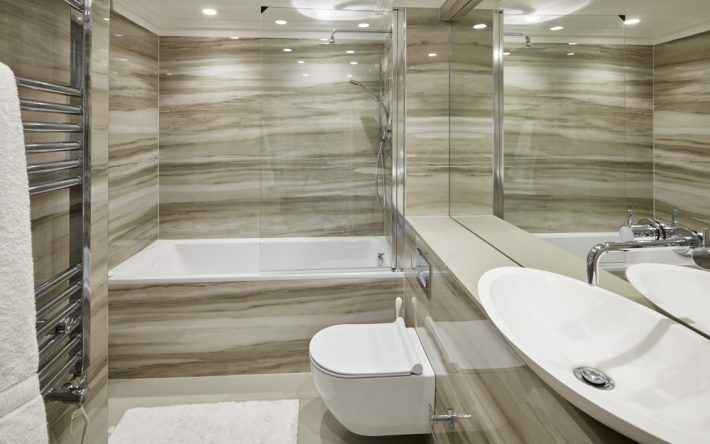 The next two levels accommodate the master bedroom and 3 additional bedrooms, all furnished with custom-made cabinetry. 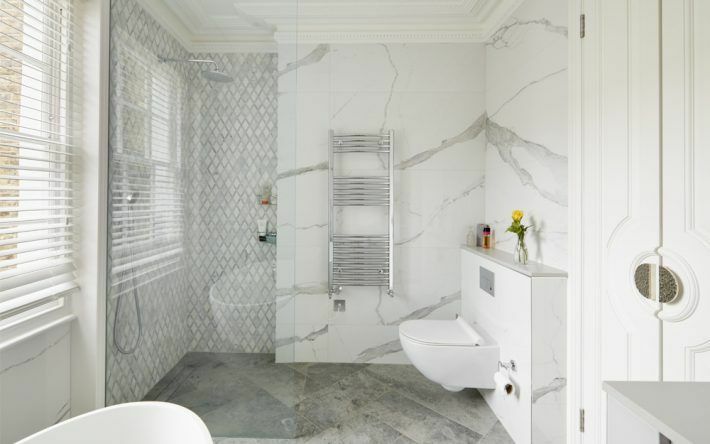 The master bedroom floor was re-designed to create a new entrance to the bedroom and a large en-suite master bathroom. 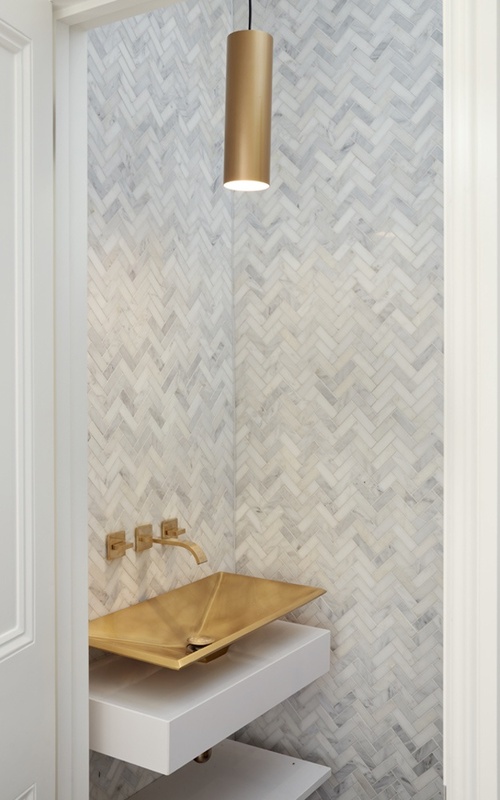 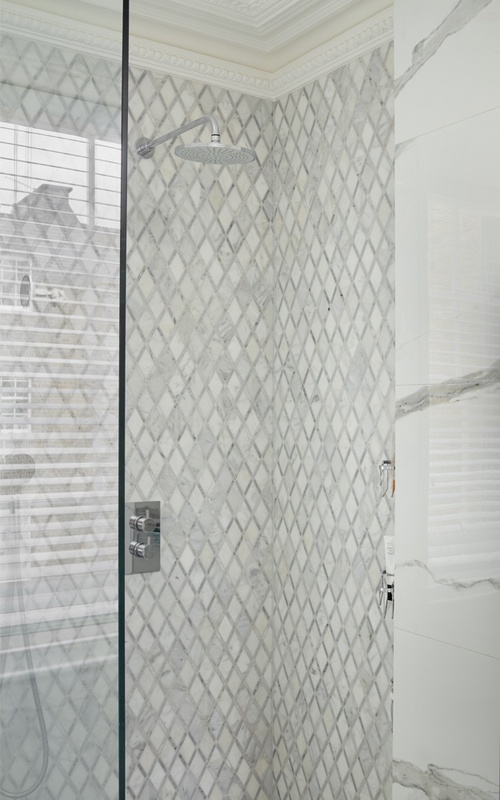 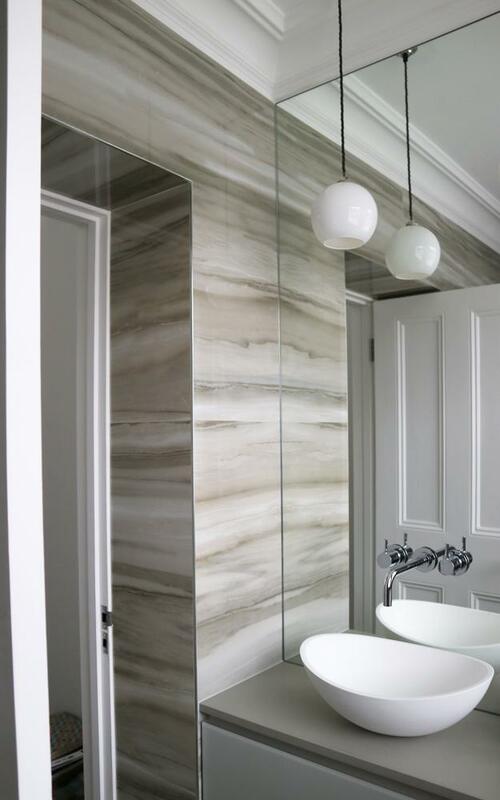 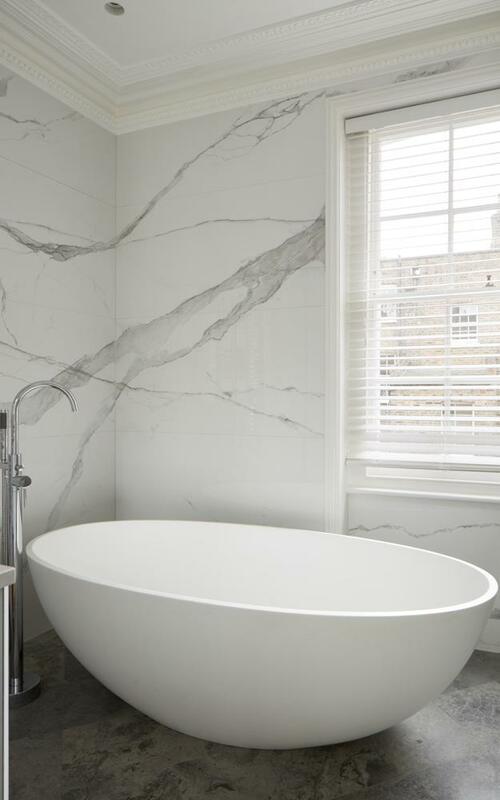 The en-suite was designed with bespoke fixtures, free standing bathtub, walk-in shower, incorporating contrasting size tiles and marble mosaics to create a modern, luxurious bathroom. 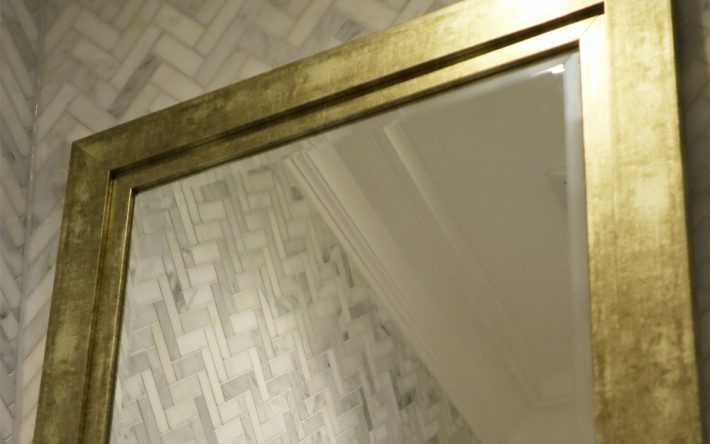 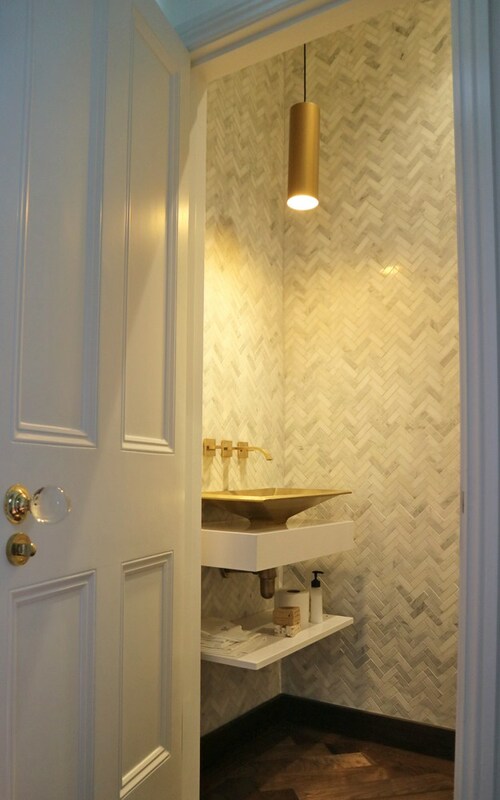 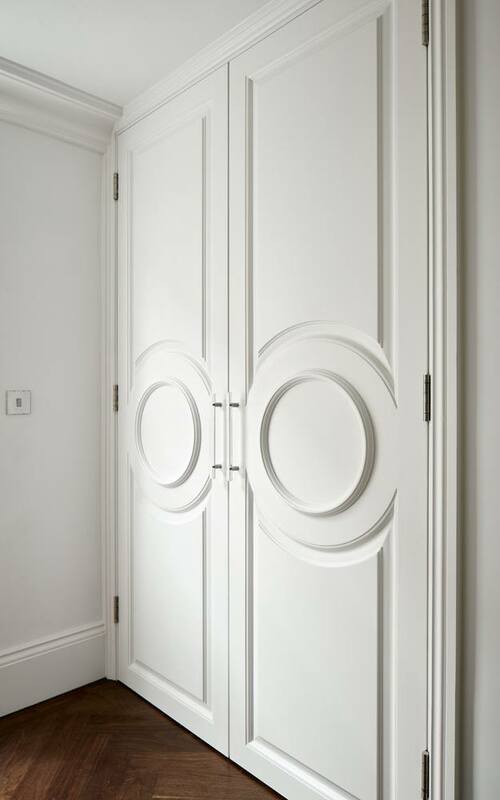 A bespoke French style door was specially designed to work with the restored period features of the house, creating a beautifully detailed connection between the master bedroom and master bathroom. 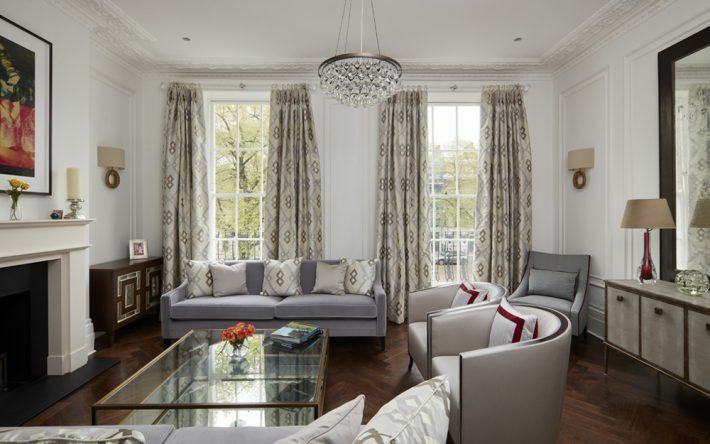 The overall design approach for the project was simple elegance to create a comfortable home with a touch of luxury. 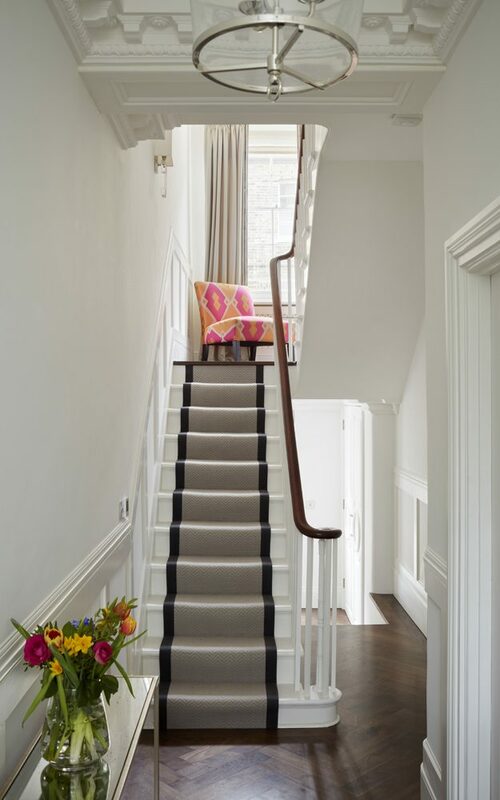 It was paramount to both the design team and the client that original details are restored celebrating period features and transforming this Grade II listed building into a beautiful, modern home.